Annette Babich, Owner, Annette Babich Inc.
How do industry mothers juggle a healthy family life & career all at once? What drives us to continue? What keeps us from throwing in the towel? How do we set the example? What are we teaching? What is the legacy we will leave? 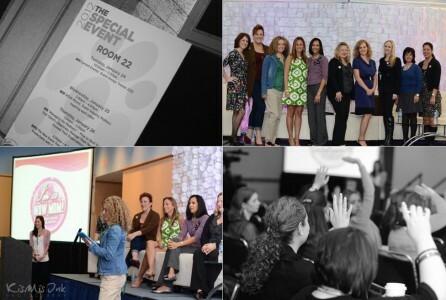 As a panel, we – ten mothers from all facets of the events industry, and from all parts of the country – shared a glimpse into our home life; sharing family photos and personal narratives, and reflecting on our individual struggles and victories. There was also a very heartwarming introduction video featuring pre-interviews of each panel members’ kids sharing their unique perspectives on their mother’s careers. Attendees joined the conversation, sharing experiences, laughter, and a few tears. 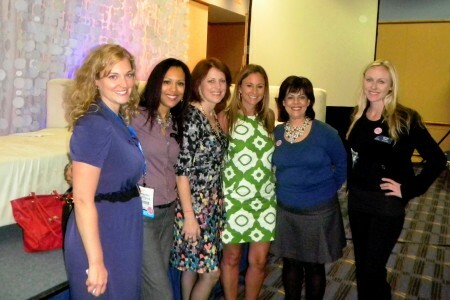 This is how your fellow event industry mothers are making it happen day to day! 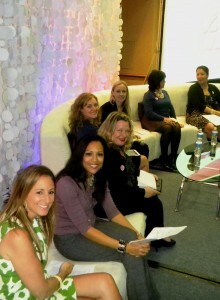 It was quite an honor to share the stage with such a wonderful and accomplished group of women! I hardly think of myself as a role model. Like everyone else, I have my struggles, insecurities and regrets about being a working parent – especially in the hospitality and event industry. I worry and wonder: Am I trying to juggle too much? Am I spending enough time with my child? Should I put more time into that proposal or hang the holiday decorations? Is it worth it? Is it WORKING? Obviously I am not alone. 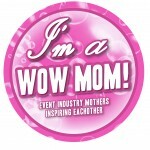 And I belive that was one of the key messages of the session: Let other event industry moms know that they are not alone. While scripting and developing the session, Michelle asked each of us to focus on a specific point or realm of experience. My topic was Growing Pains. As one of the more senior members of the group, with a child who has literally grown up in the business, it was a unique opportunity for me to speak candidly about the phases of my life – both as a wife and mother, and as an event planning professional. In order to write my notes for the session, I had to stop – literally s.t.o.p. – and reflect on 15+ years of personal and professional growth. The highs. The lows. The victories and achievement. The tears and challenges. I realized that the path which was initially unclear became a road to self-discovery and fulfillment. Mind you it was a twisty-turny and winding road with potholes, but nonetheless a road. I realize it’s easy to get discouraged when things don’t go according to plan (rather, our plans). The stress of meeting the daily demands on our time and energy can be overwhelming, exhausting, and even discouraging. WOW! Moms are the women who support, encourage and motivate others; we all have this ability. It’s good to be reminded that we can (and must!) choose to focus on looking forward, not behind. It’s important to listen to your inner voice and make changes – whether it’s eating dinner together more often, or making time to do that ‘thing’ that has been on the back burner too long. All we can do is our best. We are bound to make mistakes along the way: could have, would have, should have… Instead of letting these phrases haunt you, simply pray that you learn from mistakes and don’t repeat them.